Product prices and availability are accurate as of 2019-04-16 10:15:01 EDT and are subject to change. Any price and availability information displayed on http://www.amazon.com/ at the time of purchase will apply to the purchase of this product. 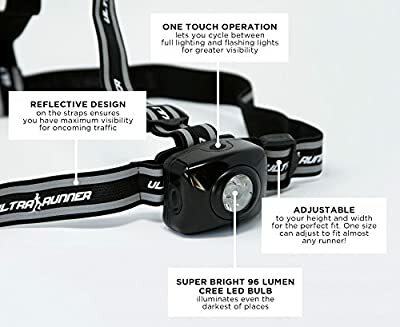 The Ultra Runner X96 Chest Light by Runner's Goal is a headlamp alternative that provides a bright, steady stream of light as you run or jog at night time or in dimly lit places. It features a 3 watt LED bulb, which provide 96 lumens when fully lit. 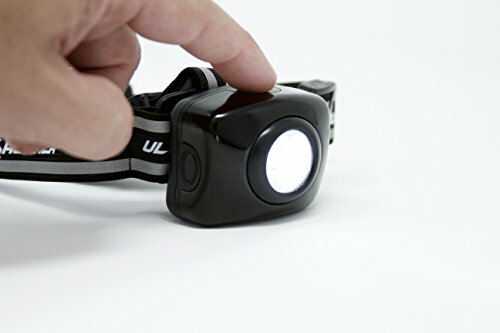 It has adjustable brightness and can be turned down to 46 lumens and save power or a flashing mode for general safety lighting - depending on what you need. With distracted drivers on their phone, wearing reflective safety gear at night to signal your presence on the road is a must! 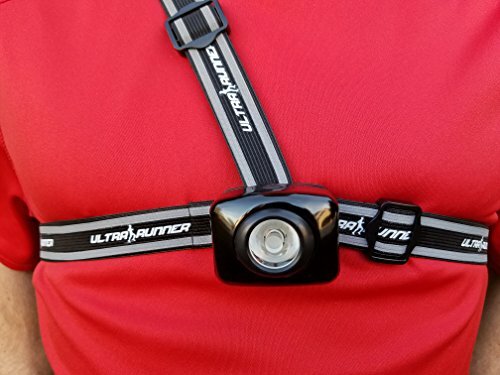 Unlike bulky and uncomfortable headlamps that seem to weigh you down, the chest light is a comfortable, lightweight alternative that feels like you're wearing nothing at all. 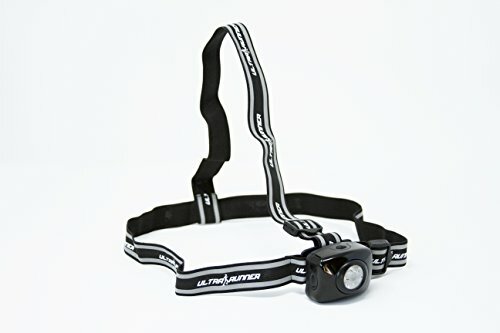 It's perfect for runners, joggers, walkers and just about anybody else who needs a bright light to illuminate their way. 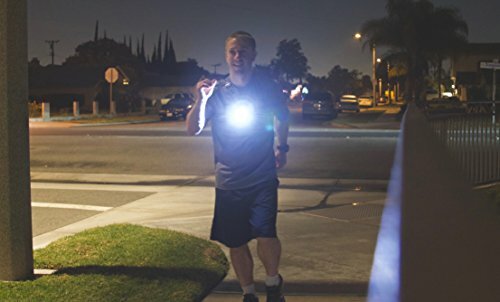 Just imagine a bright flashlight mounted to your chest that won't affect your performance, but will help keep you safe. The X96 light is kind of like that! 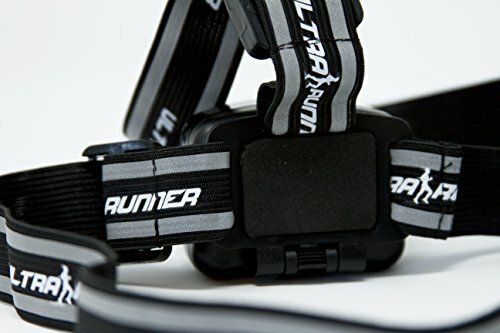 Just like the straps on a headlamp, you can tighten and loosen the straps of the Ultra Runner X96 Chest Light to fit your needs. No worrying about lights that bounce around wildly such as knuckle lights, LEDs on your shoes, hats/visors, and other accessories. This unisex light is perfect for men, women and even youth runners.